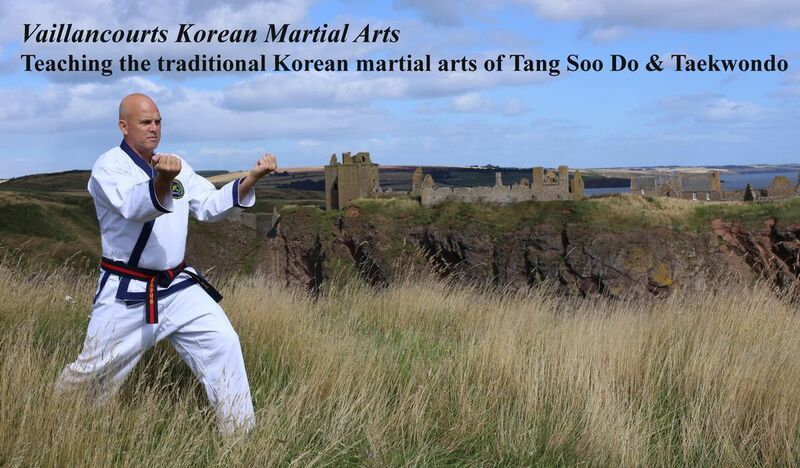 Vaillancourt's Korean Martial Arts and its instructors believe that training is more important than promotion. Students will earn their rank and will not be tested for rank until their instructor feel they are ready. Rank without knowledge is useless. The practice of the martial art benefits the student both physically and psychologically. The physical benefits are obvious and include muscle toning and cardiovascular conditioning through regular exercise. Improved flexibility is achieved through intensive stretching and grace and balance are gained through the repetitious practice of kicking and stance work. Some of the psychological benefits include increased self-confidence (through a basic knowledge of self-defense and improved self-image) and stress release. Martial arts are ideally suited to individuals interested in personal growth since each person progresses at their own rate, regardless of physical condition or body type. The number one reason to train? IT IS FUN!!! !